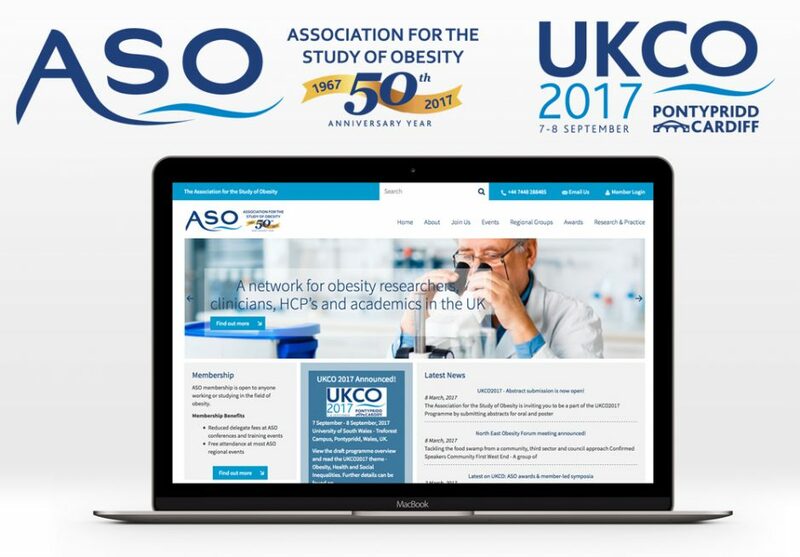 This year marks the 50th Anniversary of The Association for the Study of Obesity (ASO) and through our ongoing design work for them over the years we were asked to create a commemorative logo design to use on the website and on marketing material to celebrate this half century of research and achievements in the field of obesity. With the global epidemic in obesity an ever increasing problem in the developed and developing worlds – this pioneering research is needed more than ever. Check out the website for more information on their sterling work. Alongside the 5oth anniversary logo we were once again asked to create a logo for ASO’s annual congress UKCO2017 this year held in Pontypridd Cardiff, hitherto probably most famous for being the basis for fictional town Pontypandy – home to TV’s Fireman Sam and his arch nemesis naughty Norman Price – a schoolboy prone to getting into ill-advised scrapes involving sheep and cliff edges.